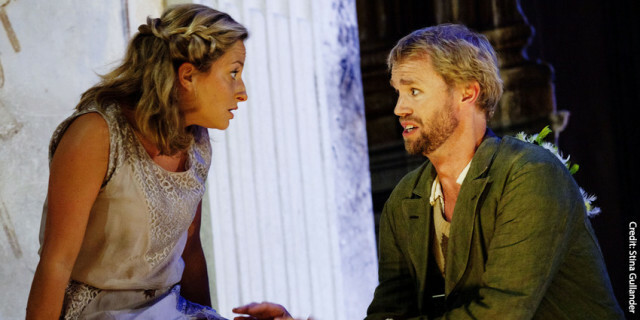 So, you’ve decided to take the plunge into the beauty, power, and virtuosity of opera. But where do you start? With so many stunning operas from all of the powerhouse composers, finding an entry point may seem overwhelming. But have no fear – Bruce Scott, the producer of World of Opera, is here to be your guide. He has a few suggestions to help you begin your operatic journey. The tragic ending of La Boheme may be a bit intense. Yet along the way, Puccini gives us some of opera’s most graceful and appealing music — and the tender yet passionate romance that drives the story might just make this the greatest “date opera” ever composed. In Act One, Mimi responds to Rodolfo’s curiosity by introducing herself, in the aria “Mi chiamano Mimi” (“They call me Mimi”). Here, Dame Kiri Te Kanawa sings in a Victoria State Opera production conducted by John Hopkins. Some still think of Porgy and Bess as a musical, and it does boast enough great songs for several Broadway hits. But Gershwin’s masterpiece is pure opera, through and through, with a vivid cast of fully-fleshed characters, and a powerful story of human strength, persistence and unflagging devotion. The story of Mozart’s glittering Magic Flute can get a touch confusing, with good and evil tightly intertwined. Still, with music that’s often — and justly — called sublime, and an exotic yet endearing array of characters and settings, this is truly an opera fit for kids of all ages. Mozart gave the Queen of the Night one of the most treacherous arias in all of opera: “Der Hölle Rache.” It’s heard in Act Two, as the Queen asks her daughter Pamina to murder Sarastro, and includes four, famously stratsopheric, high F-naturals. Here, Natalie Dessay performs in a 2001 Paris production. In La Traviata, Giuseppe Verdi loosed the full range of his formidable genius. The opera’s taught drama and complex passions are graced by moving portrayals of profound love and painful sacrifice. As for the music, if you don’t leave this opera whistling an unforgettable tune, it’s only because there are too many to choose from. Violetta winds up the first act with “Sempre libera” (“Always Free”), a stunning aria reveling in the freedom of her carefree lifestyle — and she sticks with that sentiment even as Alfredo is serenading her. Here, Anna Netrebko performs at the Salzburg Festival. Who remembers the 1984 film Amadeus? 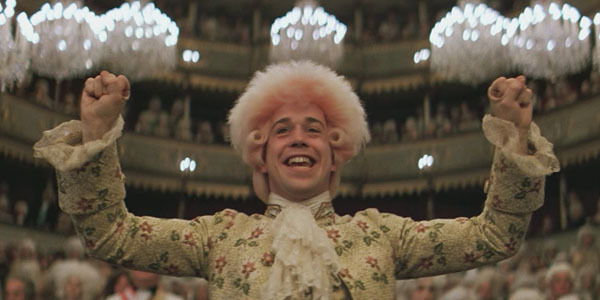 Told from the perspective of composer Antonio Salieri, this delightful biopic highlights the genius, vulgarity, and dramatics of the great Mozart. At its core, the movie makes Salieri culpable for Mozart’s death, the cause of which to this day remains unconfirmed. According to the film, Salieri appeared on Mozart’s doorstep in “the guise of a frightening emissary from beyond” to commission a requiem, which eventually drove Mozart to his grave. During the final days of Mozart’s life, Salieri visited the great composer’s bedside and wrote down Mozart’s plan for the rest of the requiem. He later finished the work and attempted to claim it as his own. Although the idea that Salieri killed Mozart is complete fiction, Amadeus didn’t stray far from the truth in its depiction of Wolfgang’s final composition. In July of 1791, Mozart was visited by what he describes as a “gray messenger.” This mysterious visitor brought a commission for a requiem from an unknown individual, who later turned out to be Count Walsegg. Walsegg was an amateur musician who notoriously hired ghost writers for compositions he would later claim as his own. In this instance, he wanted a mass to perform each year on the anniversary of his young wife’s death. Mozart, then in a fair amount of debt, quickly accepted the proposition. On the day before he passed away, Mozart, along with his family and friends, sang through the work. He died eleven hours later, leaving the requiem only 2/3 complete. Mozart’s death left his wife to deal with the family’s copious amount of debt on her own. Fairly business savvy, Constanze knew she needed the money from the unfinished requiem’s commission. Luckily, Mozart left behind the full vocal parts and baseline, plus an outline of the instrumentation for the sections he had completed. No sketches or guidelines have been found for the last three movements. Constanze enlisted the help of Joseph Eybler, good friend and colleague of her husband. Eybler finished orchestrating portions of the requiem. However, he soon returned the work to Constanze out of respect for his dear friend. 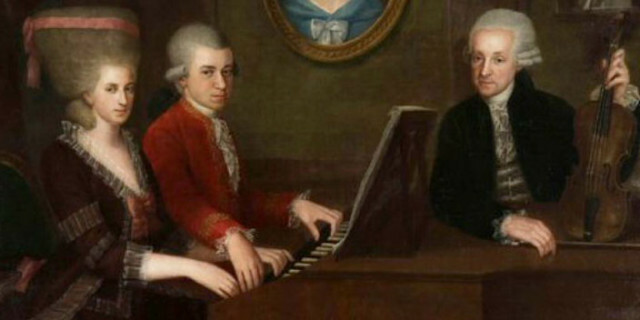 He feared he could not do Mozart’s creation justice. Sussmayer rewrote the entire Requiem, with his additions included, in his own hand and forged Mozart’s signature. Constanze presented the completed work to Count Walsegg, secretly keeping a copy for herself. Although the Count expected to premiere the work himself in late 1793, Constanze presented Mozart’s Requiem eleven months earlier at a benefit concert in honor of her husband. Mozart’s last opera has mesmerized music lovers since its premiere in September 1791. The Magic Flute, a zauberoper or “magic opera,” embodies all that was expected from the popular genre. With its intentionally jumbled plot full of comic relief and larger-than-life characters, the opera was an immediate success with audiences, who became enthralled with its quirkiness. Critics, on the other hand, weren’t quite so pleased. The Magic Flute was called “one of the most absurd specimens of a form of literature in which absurdity is regarded as a matter of course.” So how could Mozart – a talented, successful, and highly-celebrated composer with a passion for opera – be the one responsible for such a puzzling and eccentric work? The answer is simple: there is more to the opera than meets the eye. A lot more, actually. German poet Goethe once said about The Magic Flute, “If the multitude find pleasure only in what is actually visible, the initiated will not fail to perceive the higher meaning.” Those “initiated” are none other than the Freemasons. Mozart became a Mason in December 1784 and was an active member until his death seven years later. Freemasonry in Mozart’s time was driven by a desire to spread the ideals of the Enlightenment – reason, tolerance, and humanism. Mozart found solace in these principles as he dealt with the passing of his father, troubles in his marriage, and his ever-growing debt. It is no surprise then that his later works became saturated with Masonic themes. The Magic Flute is certainly no exception. Written at a time when Freemasonry was condemned and discredited, The Magic Flute has been called an “Enlightenment allegory, veiled in masonic ritual.” At the time of its premiere, many read the allegory as one reflecting that very moment in history. The Queen of the Night – embodying the darkness and superstition of The Middle Ages – represented Empress Maria Theresa, whose decree had closed most of the Masonic lodges. Long story short, the Queen ends up as the bad guy. In contrast, Sarastro, the benevolent leader who uses Enlightenment ideals to unite the opera’s young lovers, personified Joseph II, son of the empress and advocate of the Masonic order. Mozart didn’t limit his Masonic nods to just the abstract allegorical level. Freemason rituals and symbolism are scattered throughout the opera. Take the number three, for example. This numeral, an important figure to the Masons, occurs again and again: the main character Tamino is rescued by three ladies and guided along his journey by three boys; he must endure three trials to join the brotherhood; the snake representing ignorance is cut into three pieces. Mozart even goes so far as to write the work in a key signature with three flats. And that’s just scratching the surface of the symbolism. You can find a more detailed listing here. The Magic Flute, meant to epitomize the meaning of Freemasonry, was Mozart’s last completed composition. He fell ill two days after its premiere. In the delirium of that fatal sickness, Wolfgang would run through the opera in his head, experiencing the power of his own music. He died after the show’s 67th performance. One hypothesis regarding Mozart’s death is that Masons poisoned him for revealing their secrets. 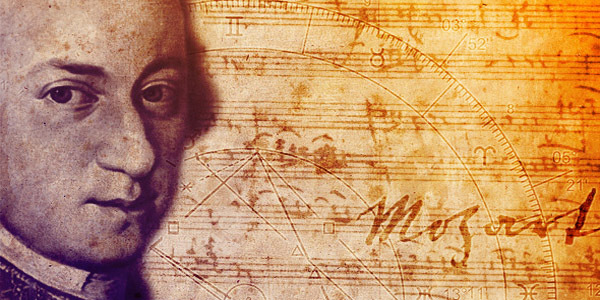 Next week, we learn about Mozart’s unfinished Requiem and the mysterious circumstances behind its commission. Eine Kleine Nachtmusik is considered to be one of Mozart’s most famous compositions. Completed August 10, 1787, while the composer was freelancing in Vienna, A Little Night Music is an upbeat serenade originally written for two violins, viola, cello, and double bass. 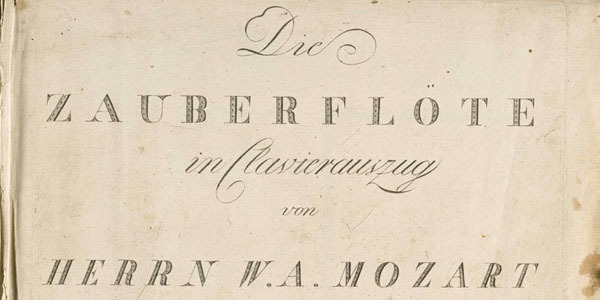 Consisting of just 4 movements, the piece has been dubbed a “supreme mastery in the smallest possible frame.” In reality, Mozart intended the piece to be longer, at least according to his own record keeping. The composer lists the piece with 5 movements – the first of two minuets is missing from the surviving manuscript. You may be surprised to find that historians have little information about how this beloved work came to exist. Despite the large collection of letters, documents, and notes left by Mozart, the only mention of Eine Kleine Nachtmusik is in the composer’s personal catalogue of works. No commission request is listed, and the piece was published posthumously. Hence, theories abound as to why Mozart wrote the piece in the first place. Was it spontaneous composition? Or was the work written for a special occasion? In Mozart’s time, serenades served as festive music for social gatherings and celebrations. Because this musical form was usually performed outside, serenades were often heavy on the wind instruments. Eine Kleine Nachtmusik, however, is written for all strings, which indicates an indoor event. Serenades could also be quite lucrative for composers. Since Mozart was severely in debt when he wrote this piece, money may have been a motivation. To further add to the mystery, Eine Kleine Nachtmusik has a drastically different tone than the other works Mozart completed at that time. He was in the midst of writing his opera buffa Don Giovanni, which ends with the main character being dragged off to hell. This dark comedy seems to be a reflection of Mozart’s life in that moment. The composer was short on work, out of money, and had recently lost his father. The jubilant sounds of A Little Night Music may simply have been Mozart’s attempt to bring some light into his quickly darkening world. Johannes Chrysostomus Wolfgangus Theophilius Mozart, known as Wolfgang Amadeus Mozart — or Wolfie for short — was born in Salzburg, Austria on January 27, 1756. 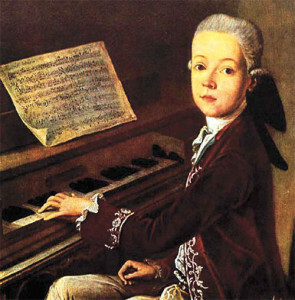 The child of violinist and composer Leopold Mozart, Wolfgang showed an affinity for music from a very early age. He had an innate sense for chords, tempo, and rhythm, which encouraged Leopold to start piano lessons with the then three year old. Mozart learned to play the violin at age four. By five, he had composed his first piece – a piano minuet. At six years old, the child prodigy – along with his father and sister, also a talented pianist – was traveling Europe to perform for royalty. When he wasn’t performing, little Wolfie caused his fair share of trouble. Mozart had an illustrious personality. He was precocious, craved attention, and loved bathroom humor. Anecdotes describe Wolfgang as immature, brash, and excitable. Even getting his haircut was a challenge. His barber could never get the musical genius to sit still. Mozart would think of a new idea and rush to the piano, with the barber brandishing scissors behind him. As Mozart’s musical career progressed, he quickly outgrew the opportunities available to him in Salzburg. With his mother as traveling companion, he traversed Europe in search of a high-status court position. This trip was a particularly dark time in Mozart’s life. His job hunt was unsuccessful. A young singer named Aloysia Webber stole the composer’s heart, but did not return Mozart’s love. And in 1778, Mozart’s mother became sick and passed away. He returned to Salzburg broken-hearted and jobless. Eventually, Mozart packed his things and headed for Vienna, becoming one of the first-known freelance musicians. Life in Vienna suited Mozart well. He fell in love with a different Webber sister and married Constanze in 1782, much to the chagrin of his father. He was highly successful as a pianist and composer, allowing the family to live an extravagant lifestyle filled with fancy apartments, expensive pianos, and ample servants. 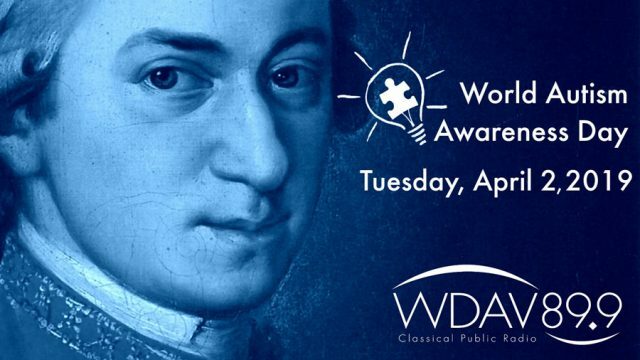 Wolfgang even befriended the famed Joseph Haydn, who sang Mozart’s praises: “Before God and as an honest man I tell you that [Mozart] is the greatest composer known to me either in person or by name.” Haydn would become a strong influence on Mozart’s work. Sadly, Mozart’s lavish lifestyle and lack of savings caught up with him. Due to the ongoing Austro-Turkish war, the Aristocracy had limited money to support the arts, which left Mozart without work. Compounding debt forced the family to move to inexpensive housing and borrow funds from friends and colleagues. In the last year of Mozart’s life, the future looked bright. His opera The Magic Flute had seen astounding success, which enabled him to repay his debts. But while in Prague for the premiere of La Clemenza di Tito, he fell ill. Two months later, the sickness had him bedridden. Although his health was quickly deteriorating, Mozart remained mentally engaged in writing his Requiem until his final days. 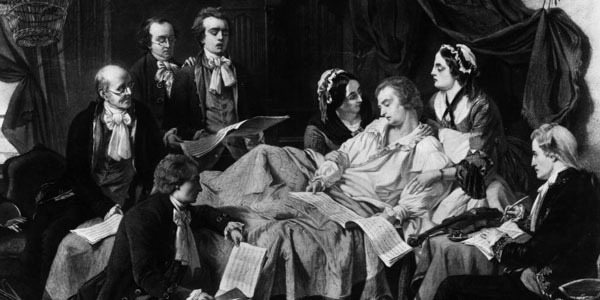 Mozart died on December 5th, 1791 at 1 a.m. The cause of his death – officially listed as “severe military fever” – is a highly debated topic. The nearly 120 hypotheses include everything from strep throat and flu to vitamin D deficiency and poison. The beloved composer was buried in a common grave. Ever wonder what a day in the life of a composer is like? This chart gives us a preview of how famous creative individuals spent their time. Spoiler alert: Mozart didn’t sleep much. Shawshank Redemption remains perhaps one cinema’s best and most famous movies of all time. The 1994 American drama film starring Morgan Freeman and Tim Robbins tells the story of a banker (played by Tim Robbins) who, despite claiming his innocence, spends 19 years at Shawshank Prison for murdering his wife and her lover. 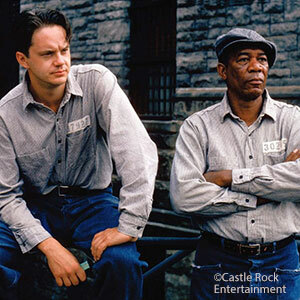 The banker, named Andy Dufresne, befriends a fellow inmate, Ellis “Red” Redding (played by Morgan Freeman), and begins assisting the warden in a money laundering operation to gain protection from the prison guards against inmate violence towards him. One of the most powerful scenes of the movie occurs when Andy, after locking a prison guard out of the warden’s office, plays Mozart’s “Sull’aria” from Le Nozze di Figaro over the prison public announcement system. Occurring in Act Three, the aria is a duet between Contessa and Susanna. Contessa dictates a letter designed to expose the infidelity of her husband. The song reflects Dufresne’s wife’s affair, but at the same time provides hope and peace for the rest of the prisoners. Considered one of the greatest cinematic uses of opera, many people fail to recognize the power of opera not only in movies, but in society in general. 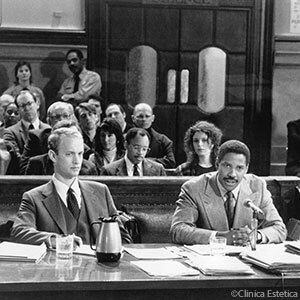 The 1993 release of Philadelphia represented one of the first mainstream Hollywood movies to address HIV/AIDS. Tom Hanks, who won the Academy Award for Best Actor for the role, portrayed a successful Philadelphia lawyer who, unbeknownst to his law firm, has AIDS. Beckett is not open about his homosexuality or sickness around the office, but one day one of the firm’s partners discovers a lesion on Beckett’s forehead. He is soon fired, which Beckett believes is because of his illness. Beckett decides to sue his law firm for discrimination. A poignant scene from the film shows Beckett and his soon to be attorney, Joe Miller (played by Denzel Washington), listening to one of Beckett’s favorite opera arias. “La Mamma Morta” from Andrea Chénier, an aria sung by the character Maddalena di Coigny, tells the story of how her mother was killed protecting her during the French Revolution. Maddalena describes how she almost gave up on life after the events. After hearing the “voice of love,” however, she chooses to go on with her life. In the film, Beckett states this is his favorite opera. Miller, while watching Beckett react to the aria, comes finds a man who loves life and deserves more than discrimination. Through the aria, Miller learns what Beckett is truly feeling. The scene becomes a turning point for Miller’s involvement in Beckett’s lawsuit. 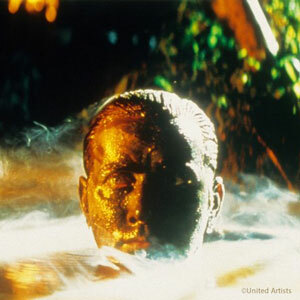 Apocalypse Now, released in 1979, is an epic war film depicting the Vietnam War. One would not think that opera would appear in movie set during this time, but Wagner’s famous “Ride of the Valküres” appears very fittingly. The figure of the Valkyrie derives from Norse mythology. They are female figures who pick certain soldiers who have died on the battle field and take them to Valhalla, the afterlife hall of slain warriors. In Apocalypse Now, a group of soldiers attack a Vietnamese village on a beach and during the process blare Wagner’s famous operatic tune from their helicopters’ speakers to intimidate the enemy. The now famous battle scene perfectly utilizes the tune to show the soldiers’ heroic nature. The song is triumphal and symbolizes riding into hell itself. (Watch this version from New York Metropolitan Opera’s production.) The song allows for the director to juxtapose the heroic nature of the American soldiers with the poor moral justifications of the character of Lt. Col. Bill Kilgore for being there in the first place: he wanted a nice surfing position. What are some other movies that have featured opera pieces? Tell us some of your favorite opera moments in film in the comments below.